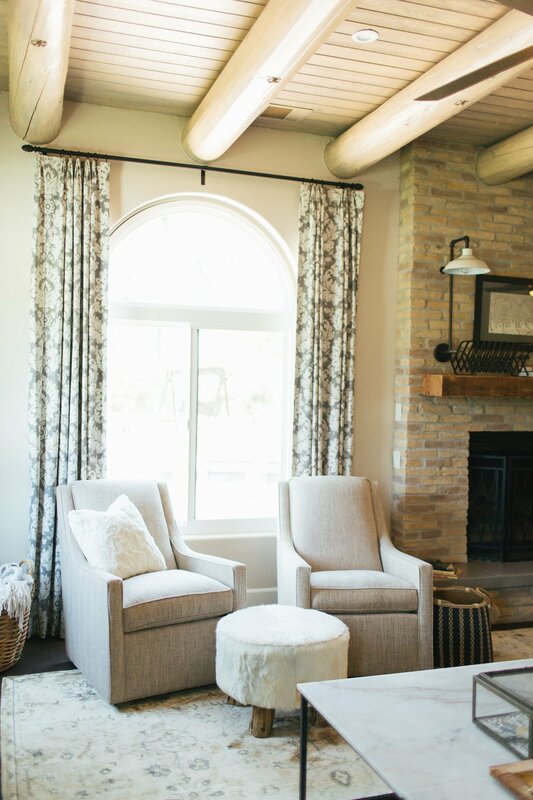 One of the biggest questions asked of people wanting to make changes to their home is “what style are you?” There are so many different options and sometimes the answer isn’t that easy with all the layering and blending of the styles in design today. Part of design is the balance of juxtaposing different looks together to create something that is truly unique to the person. One tried and true style that has really made a presence in the past few years is Transitional. This category easily “transitions” from one look to another in a seamless space that all balances together. The “IT” style is traditional elements that feel timeless and incorporate components that make it feel like it was just designed yesterday. It is up to date without going trendy but also doesn’t look like your space hasn’t been touched in 30 years. It’s the traditional wing back chair with a track arm instead of a rolled arm. It’s the white hexagon floor in a bathroom paired with a more streamlined grey vanity. Considering your design style is key to establishing a well put together space, but don’t limit yourself to one style let it “transition” from one to another.